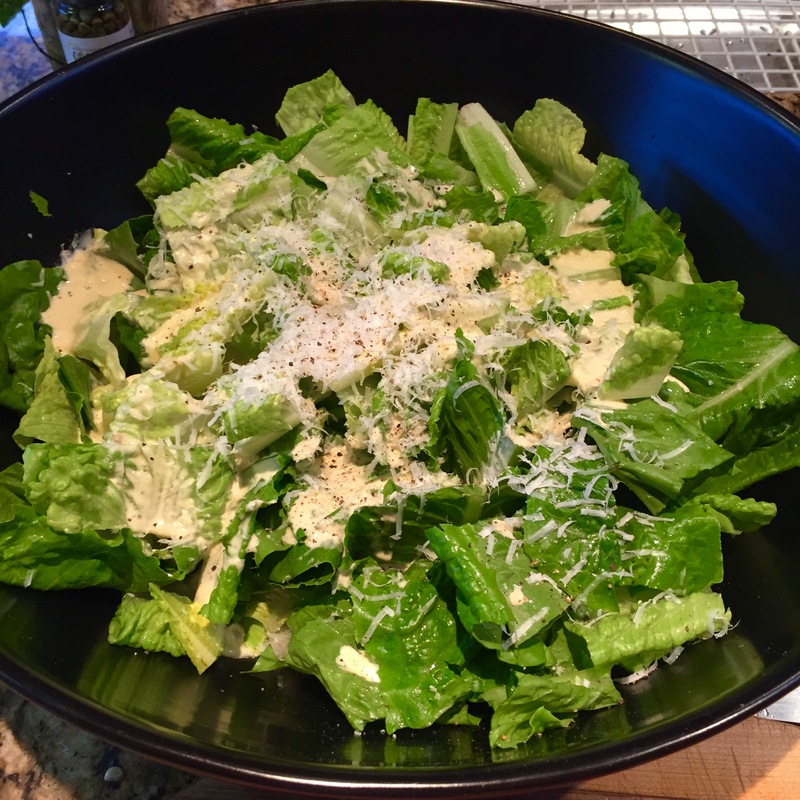 Caesar salad is one of the favorites I fall back on when I have to whip up a quick and delicious meal. Add a little salmon or chicken and you have a complete meal. For years I used a traditional method with all the normal ingredients. This recipe, with a little help from Kristen Miglore, a favorite chef of mine, has a slightly different twist, adding mayo to give you a perfect creamy dressing every time. I start with my homemade mayo (probably the easiest thing in the world to make – as long as you have a food processor.). Add all the conventional ingredients, and watch your guests light up when they taste it! 1/4 cup water – or enough to create the consistency you prefer. Trim ends of romaine, wash, shake dry (or spin), wrap in paper towel and store in a plastic bag in the refrigerator to crisp up until ready to assemble. Combine all dressing ingredients, 1/4 cup of the cheese and half the water. Puree in blender or whisk by hand until blended. Add remaining water to achieve the desired thickness. Toss chilled lettuce with dressing and remaining cheese. Taste, add salt and pepper as needed, a little squeeze of lemon, and serve. 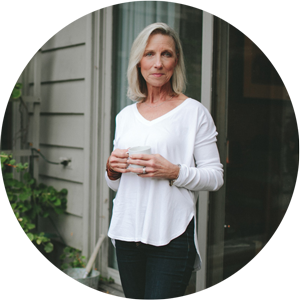 Love to hear from you. Let us know how you do and post your comments below!